Where is the Clubhouse in Sanur? A few people have been askin’ lately where is the Clubhouse in Sanur? Well it’s an out of the way place with a laid back style hidden away in the heart of Sanur Bali. The Clubhouse is directly behind Paradise Plaza Suites hotel (right out the back door behind the swimming pool) on the main By Pass. Just walk down Gang Jasmine about 500 meters keep straight up the small gang until you see our sign hanging from the Tree. From the Hardys in Sanur, walk about 20 meters south and look for our sign on the main road in front of the Oasis Hotel. Walk up the small gang (you can take a bike but not a car) about 200 meters and look for our sign. 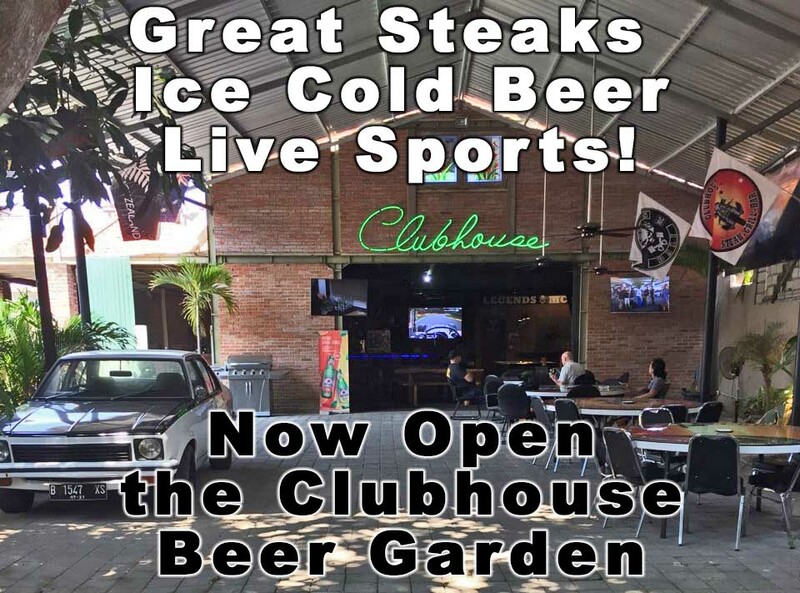 The Clubhouse in Sanur is a casual open air restaurant with a couple of big screens for LIVE SPORTS. Come down for some great tukka, an Ice Cold Beer, or enjoy a glass or bottle of wine. https://i2.wp.com/clubhousebali.com/wp-content/uploads/2018/09/Clubhouse-Map.jpg?fit=1498%2C898 898 1498 admin http://clubhousebali.com/wp-content/uploads/2019/04/clubhouse-logo-Master.png admin2018-09-13 03:54:212018-09-13 03:54:21Where is the Clubhouse in Sanur?